Earlier this year, I signed a contract with the Society for Psychical Research (SPR) to fund the digitizing of their collection of Maurice Grosse's Enfield tapes. The collection consists of more than 100 audio cassettes recorded over several years, mostly from September of 1977 to April of 1979. The tapes were given to the SPR by Grosse shortly before his death in 2006. The large majority of the tapes were able to be digitized, but some were in too poor a condition for it. Other material, though only a relatively small amount, had to be excluded for copyright reasons (e.g., recordings of television and radio broadcasts about the Enfield case and other topics). The digital version of the tapes is accompanied by about 60 pages of notes on the tapes' contents (written by Melvyn Willin of the SPR), including some information on the tapes and portions of tapes that couldn't be digitized. The digitizing of the tapes is important for a lot of reasons. Any backing up of that sort of material is valuable, especially now that the tapes are about 40 years old. And putting the content in a digital format makes the tapes far more accessible. Researchers no longer have to travel to England to access the tapes in a particular facility. Using a digital file on a computer is much easier than rewinding, fast forwarding, tracking time, and such with cassettes, especially when you know that the cassettes are so old and so susceptible to breaking down. With the passing of time, more witnesses involved in the Enfield case will die, memories will fade, and records will be lost. Better use can be made of those resources if people have more access to the Enfield tapes sooner rather than later. Decades ago, as negative a critic of Enfield as Anita Gregory referred to the potential evidence for the case in these tapes and the need to study them more. (See pages 184-85 of her doctoral thesis found here.) Though he's skeptical of Enfield, Chris French commented in a documentary that he expects there to always be interest in the case. It will be discussed for generations to come. We don't even know that the phenomena have stopped. The family who moved into the house after Peggy Hodgson's death in 2003 reported ongoing paranormal events, which caused them to move out. I've only listened to a small minority of the audio so far. I intend to write posts about the contents of the tapes as warranted. We should be grateful to the SPR for preserving the tapes, producing a digital version, and making copies of it available to researchers. I especially want to thank Melvyn Willin, who helped with the project from the start and saw it through to completion. Most of the work, including the digitizing of the tapes, was done by him. 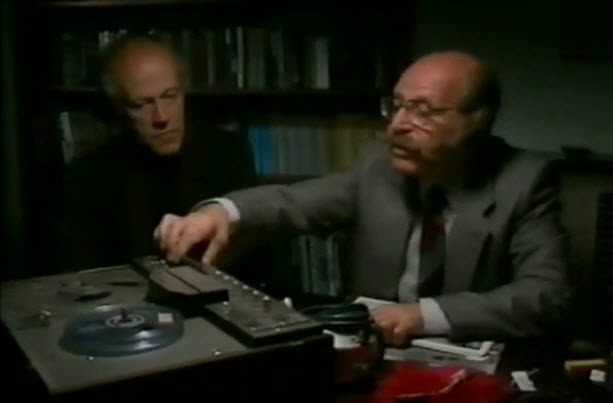 The tapes wouldn't exist if Maurice Grosse and Guy Playfair hadn't gotten involved in the Enfield case and done so much work on it, including the production and preservation of so many tapes. During a BBC radio program on Enfield earlier this year, Richard Grosse, Maurice's son, commented on how enthusiastic his father was about the Enfield case and what he'd captured on tape. That enthusiasm was still evident in a documentary he participated in just before his death. The case and the tapes deserve further study. Guy Playfair's tapes have been digitized as well. I just came across this, Do you have direct links to your releases? Thank you. If you're referring to my articles on the Enfield tapes and other Enfield issues, see here.